"I'm here to pick up 46 bags"
It was manic leading up to Tuesday. I got an email from Abigail on Sunday asking if I can start on Monday morning for two weeks. Initally I said no because I was in Nottingham at the time, but I couldn't turn this amazing opportunity down. So I offered to start Tuesday, they said yes and on Monday I traveled back down South. Finding the office wasn't too hard, which was a nice change. It's just off Oxford Street and New Bond Street. I was introduced to the small of seven and taken under the wing of Hayley. 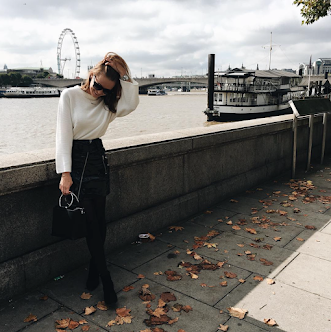 I was thrown straight into the world of fashion pr with a styling video being filmed with an X factor stylist. I spent the day creating press cuttings. 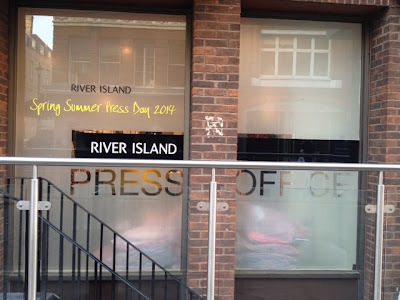 This involved going through all the days press, picking out whenever River Island is mentioned and scanning it into the system. A few more stylists can in and I witnessed the constant interaction between buyers and the team. As I had left all my jumpers in Nottingham I had to go shopping after work - day one on Oxford Street and I'm already shopping! 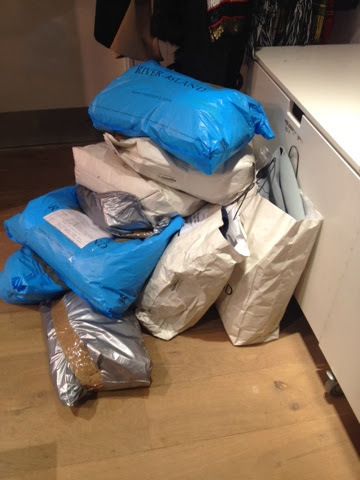 Today was all about returning samples used by publications back to a River Island store. Any A/W samples are taken from store as they're available now and all S/S samples are steed in the press show room. The weekly/daily publications predominately feature A/W at the moment and the monthlies use S/S as they're working months in advance. I went through about 30 bags of returns (that's the last pile) sorting out what needed to go to store or the show room. Excitingly I was given my request/Send out to work on - I had to pick out appropriate crop tops, camis, leather jackets and fur. It was nice being given this responsibility so early one. Thursday morning was spent being prepped by Hayley. The lucky girl was away for the next couple of days so I was the only intern in the office. 6 pages of notes later I was ready to go. I spent the afternoon sorting out supplies for the event the office was hosting in the office. The girls, bloggers, stylists and editors were attending the Isabella Blow exhibition at Somerset house, but they hosted a hat making party beforehand. I found the most amazing fabric store with vintage wedding lace. I was invited to join the party - and by looking at my final I dont think I have a future in hat design! Today was I was the only intern in the office so I had to do answer all the emails and extra jobs, which allowed me to learn more about the process. 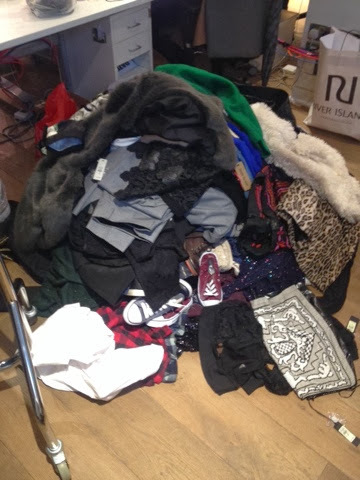 The main objective of the day was to clear all the fashion boxes and fashion cupboard of all store returns. 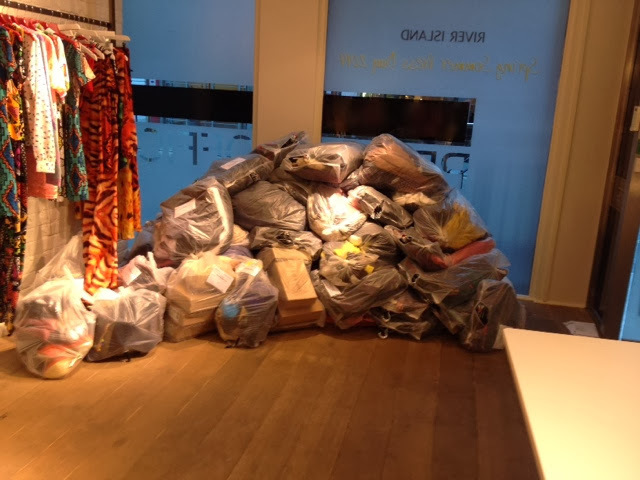 In the end we sent back 46 bags of over 500 items - the poor store manager. First week over and I've certainly learnt a lot (and gained a few muscles in the process).